Today we are thankful for the sun after days of constant rain. 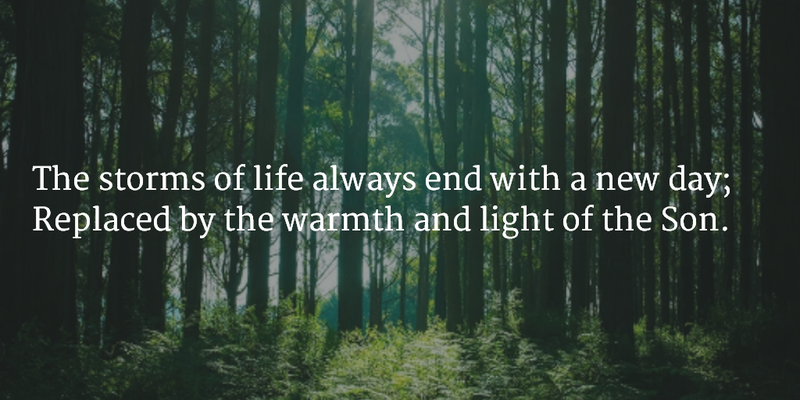 We are reminded that the storms of life always end. They are replaced by the bright light of a new day spent in the Son. We will be warmed and comforted by the love of our Savior.